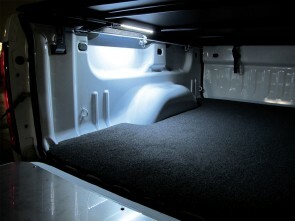 ACCESS™ LED Lights are waterproof and have tough 3M adhesive that bonds to nearly any surface. Available in 12" or 39". Simply connect to any 12 volt power source to get bright, energy-efficient light. Works great in your Lakeland tonneau cover or truck cap!